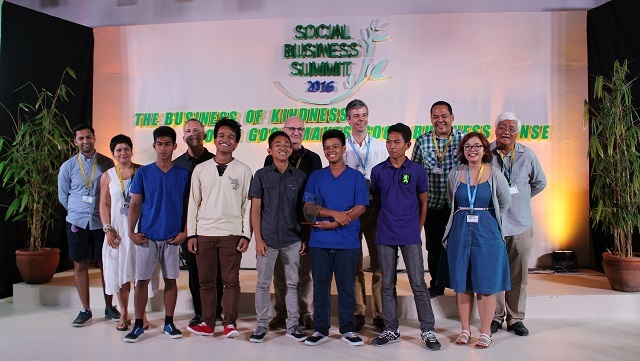 Here’s what went down in Gawad Kalinga’s first social business competition. 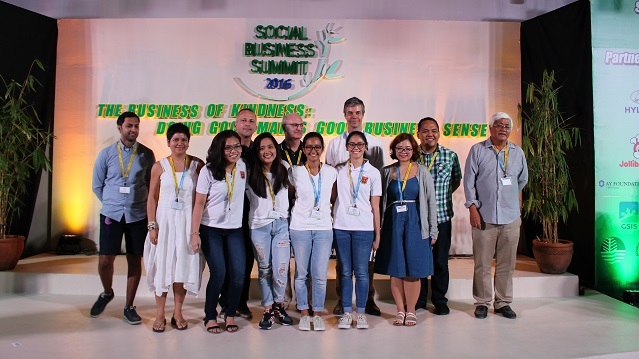 In a bid to breed more social entrepreneurs, Gawad Kalinga (GK) held its first Social Business Competition as a part of its annual Social Business Summit, which was held last January 15 to 17 at the GK Enchanted Farm in Angat, Bulacan. Staying true to the summit’s theme of “the business of kindness,” young entrepreneurs from different schools all over the Philippines sent in social business proposals, all with the aim of coming up with profitable businesses that will also promote inclusive growth and poverty alleviation in the country. Besting the competition is the group Agri-Nation, composed of graduating students from the School for Experiential and Entrepreneurial Development (SEED). SEED is a TESDA-accredited tertiary education program started by GK, with students mostly hailing from farming families in Bulacan and other GK communities. Agri-Nation’s social business proposal aims to teach single-crop farmers how to maximize their lands through expert training and a specialized land template, which divides a hectare of land into five sectors: vegetable and rice farming, swine, poultry, and duck farming. “Growing up in a family of farmers, we know how difficult it can be to earn money. So we thought of a farming model that can help them all year round,” says Vincent Tatel, one of the members of Agri-Nation, in an interview with Entrepreneur Philippines. Agri-Nation’s members, who are all currently on their last year at SEED, have been studying the Social Entrepreneurship course under the program since 2014, which requires them to undergo a six-month training in the farm as part of their internship. “We maximized every internship program that each member of the group is a part of, so we all know how to train and manage the proposed farming methods in Agri-Nation,” Tatel adds. Agri-Nation took home P100,000 as starting capital for their social enterprise, and they will be mentored by seasoned social entrepreneurs within the GK network. The group Fine Swine, made up of students from the University of Asia and the Pacific, came in second place with their social business proposal which can help pig farmers in Palawan create organic feeds and raise pigs in a more sustainable manner. The third place was awarded to Duck House Inc., which was also comprised of students from SEED, thanks to their business proposal of putting up a restaurant which specializes in serving duck meat, in a bid to help duck farmers in the provinces get their product to market. Other contenders were the group Kubo, made up of students from the global youth organization AIESEC, with their social tourism endeavor which invites travelers to stay with local families in popular tourist spots. Kampo Organiko, composed of students from the De La Salle University-Manila, presented their proposal to create organic farming feeds out of fish waste. Team Bingka, made up of students from the Benguet State University, came up with a food concept offering bibingka made from radishes, a largely untapped produce from the provinces. The group V-Meat, comprised of students from the Ateneo de Manila University, proposed the production of an array of soy-based meat products. The seven teams were judged based on the social problem presented, the mission and vision of the group, the feasibility of their social business proposal, the analysis and presentation of their objectives and strategies, the quality of their presentation, and audience impact through tallying of votes. The panel of judges included social entrepreneurs like Camille Meloto of homegrown all-natural cosmetics brand Human Nature, social impact investors like Gus Poston of consulting and investment firm Bridge Advisory, and even social entrepreneurship advocates like Anton Diaz of food and travel site Our Awesome Planet. The Social Business Competition capped off the second day of the three-day Social Business Summit of Gawad Kalinga, which gathered social entrepreneurs, students, and advocates from around the globe under the theme “The Business of Kindness: Doing Good Makes Good Business Sense.” The next Social Business Summit of Gawad Kalinga is slated for January 13-15, 2017.